The story of Autumn revolves around a woman trying to recall the memories of her life through symbolic artwork. Each level takes place in a different part of the world with Autumn sitting underneath a tree from that region as the leaves fall down. Unearth her story across the world and discover the illustrated events of her past. 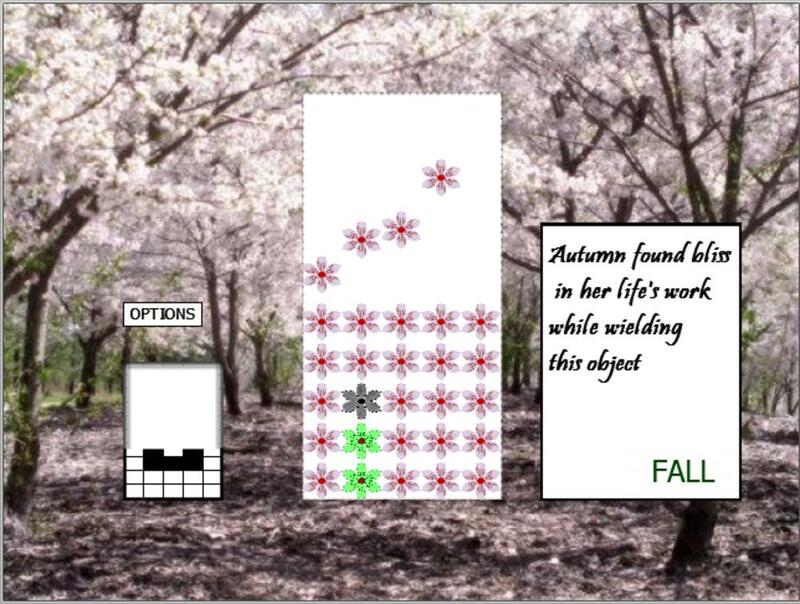 "Autumn" is an innovative puzzle game where instead of destroying blocks by matching three in a row, the player forms special "key blocks" out of fallen leaves by changing their colors. These "key blocks" are created in a pattern to resemble a nearby picture that corresponds to her memory. Various obstacles such as obscuring clouds, lightning bolts, and diseased leaves represent the ordeals she has gone through, but only by overcoming them will Autumn regain her mental clarity.